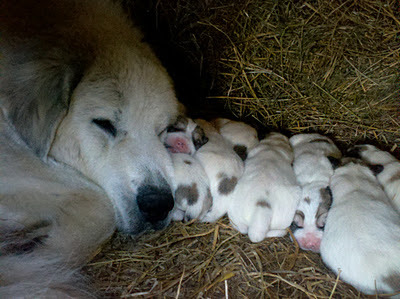 Seasons of a Shepherdess: the babies are here! 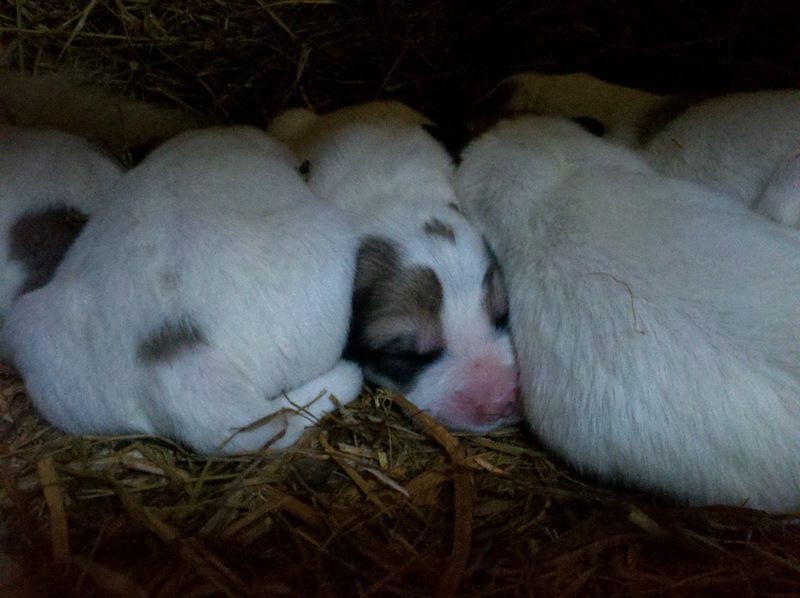 9 perfectly shaped pink noses, 36 precious little paws and all the sweet puppy breath that I could ever dream of...all made their way into the world on Nov 9. Reina takes her mama job very seriously, many humans could take a lesson or 2 from her. It's a beautiful thing to watch! Soon enough they will be the guardians they were born to be but for now..they'll snuggle with mama and sleep the day away. Darling aren't they? !